For Father's Day, I wanted to do an outing with Dad and we were originally going to go without Mik to Shenandoah National Park since I've been wanting to do Ranger Dan photos there. 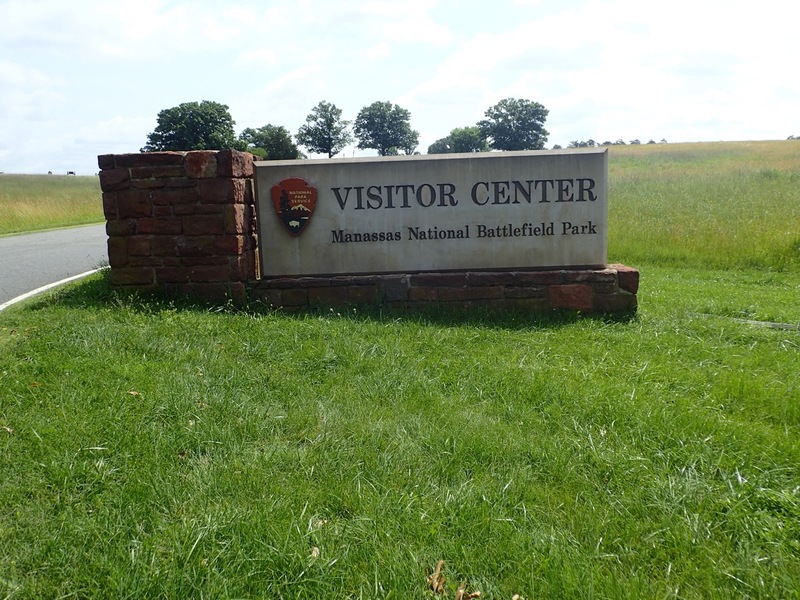 When I was looking at the map to see if there were any other National Park units nearby to also do I was reminded that Manassas National Battlefield was close to us. It was also somewhere Mik was interested in visiting as long as it was accessible, which we found after a quick look at the Manassas National Battlefield Park website led us to their accessibility page that has good details on what areas of the park have wheelchair accessible parts. As usual for a National Park, we started our visit at the Visitor Center. We were impressed with the parking layout here as it laid out so that the middle walkway up to the visitor center has handicap parking on both sides in every row. Thus, you have the opportunity to avoid taking a spot close to the building when all you need is the extra room for loading/unloading. The visitor center is accessible via a ramp to the side of the entrance and the double doors have a button to open them automatically. There is also a ramp from the back entrance to go out to the Henry Hill Loop Trail or just view the area from the patio if you don't want to trek out on the grassy trail. There is also a ramp on the back side accessed from around the front that leads down to the basement level where the bathrooms are located. 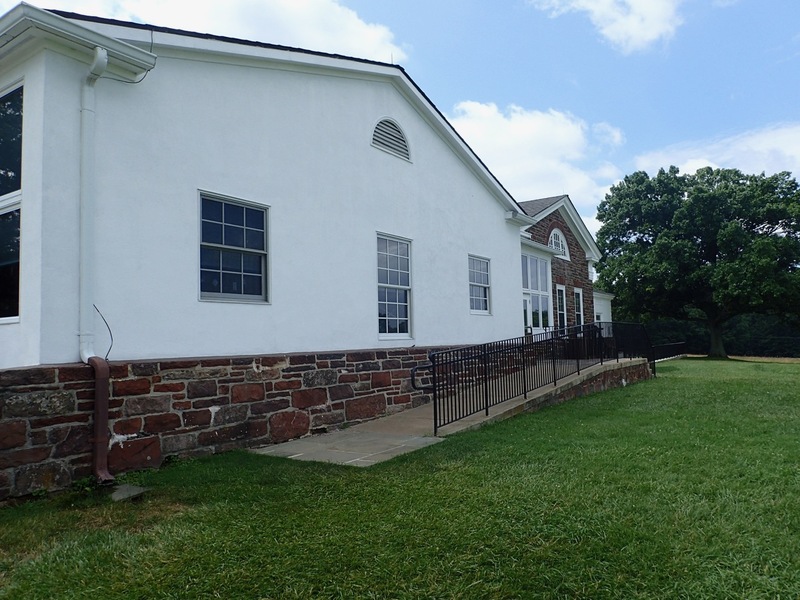 The visitor center has a small museum, a gift shop, and a theater. We didn't end up seeing the movie because it is shown on the hour and both before and after doing the Henry Hill Loop Trail we would've had to wait 20 to 30 minutes for it to start (and Mik wasn't sure about watching a 45 minute movie).